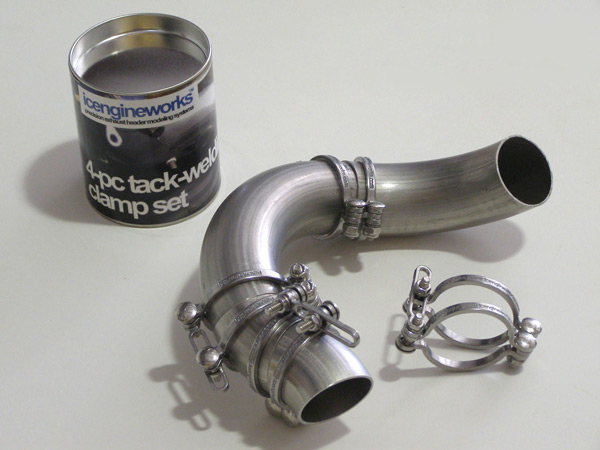 Custom Header Design just got easier with the Exhaust Tack Welding Clamp Set from Icengineworks. Now, the fabricator can preview, adjust, and clock the pieces before they are tack-welded together, saving both time and material. Micro adjustments can be made quickly and easily without the hassles of weld and cut adjustments, so you can create a precise and unique custom header. For more information on this product and many other top of the line tools, visit our website at www.trick-tools.com or give us a call at 1-877-826-7268.